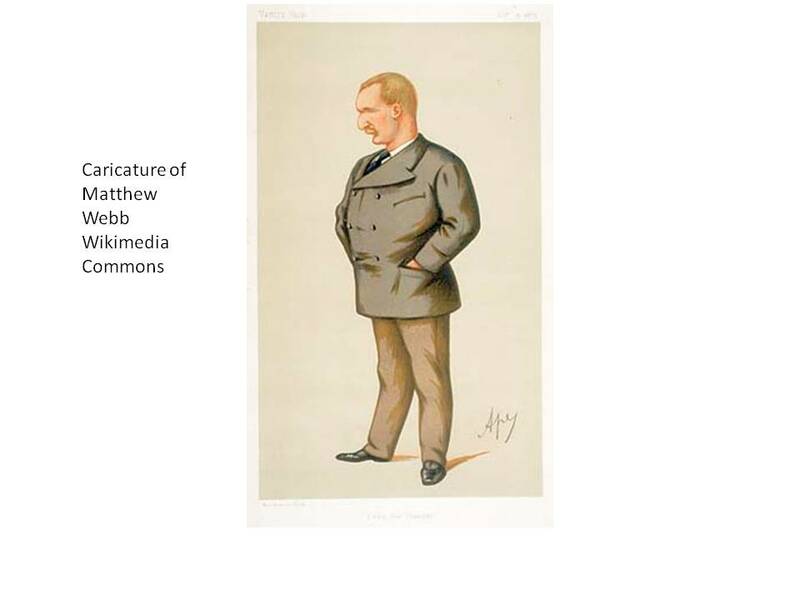 Born at Dawley in Shropshire, England, on January 19, 1848, Captain Matthew Webb was one of the twelve children of a doctor from Coalbrookdale. He joined the merchant navy and served a three year apprenticeship in Rathbone Brothers of Liverpool. Captain Webb served as second mate on the Cunard Line ship, Russia. During one voyage from New York to Liverpool while in mid-Atlantic, he tried to rescue a man overboard by diving into the sea after him. He didn’t find the man, but his daring won him an award and the Stanhope Medal. It also made him a British press hero. In 1873, Captain Webb read a story about J.B. Johnson’s failed attempt to swim the English Channel. He decided to make the swim himself and he left his job to begin training at Lambeth Baths and later in the cold waters of the Thames River and the English Channel. On August 12, 1875, Captain Webb made his first attempt to swim across the English Channel, but strong winds and poor water conditions forced him to stop swimming. On August 24, 1875, Captain Webb began a second swim by diving from the Admiralty Pier at Dover, England. Backed by three chase boats and smeared in porpoise oil, he pushed off into the ebb tide at a steady breaststroke, the crawl being then unknown. At the rate of 25 to 27 strokes a minute, he swam low in the water, with mouth and nose under, blowing porpoise like as his head emerged. He faced stings from jellyfish and strong currents off Cap Gris Nez. On August 25, 1875, he arrived at Calais at 11:00 in the morning in good health and spirits, although fatigued. It had taken him 21 hours and 40 minutes to swim across the Channel. A huge crowd welcomed Captain Webb at Dover when he returned and the mayor of Dover said, "In the future history of the world, I don’t believe that any such feat will be performed by anyone else." The Mayor of Dover’s prophecy didn’t come true. In the future, Captain Webb’s swim would be duplicated and improved upon and despite his cross channel swim being billed as the first, it wasn’t. In May, 1873, American Paul Boyton, who invented and patented the rubber swim suit had successfully swum the English Channel in 23 hours, 30 minutes. He had worn a rubber swim suit and a life jacket, but Captain Webb swam in his birthday suit so his swim was considered an unimpeded, un-technological swim. A century later, Captain Webb’ s time would be cut in more than half and the Twentieth century record holder, Lt. Richard Davis Hart, U.S. Army, swam the Channel from England to France on August 21, 1972, in 9 hours and 44 minutes. After his record swim across the English Channel, Captain Webb enjoyed a career as a professional swimmer and continued national and international acclaim. He endorsed such merchandising items as commemorative pottery and wrote a book that he called "The Art of Swimming. He took part in exhibition swimming matches and performed stunts like floating in a tank of water for 128 hours, but his fortunes were diminishing. 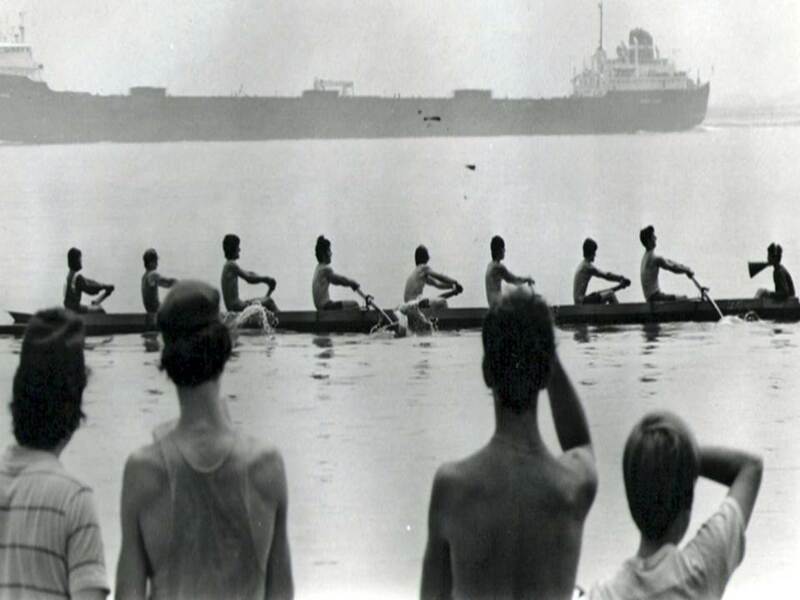 On September 15, 1879, at Bath Park on the Hudson River, two small row boats carried contestants and judges for a swimming contest. The first prize was a purse of $1,500, the second prize $750 for the swimmer making the greatest number of miles up to fifty. The contestants were George H. Wade, William H. Daily, George Werhan, Ernest Von Schoening and Captain Matthew Webb. Werhan wore a white cap, Wade a black one, Von Schoening a red one and Webb a blue one and Daily had a yellow handkerchief around his head. All the swimmers swam gracefully, taking long, powerful strokes and keeping their heads well out of water. Captain Matthew Webb held on until the first lap of the seventh mile when he called to be taken out of the water. He had been taken with a severe cramp, and he gave up. At 7:00 Von Schoening left the water, having made seven miles and one lap. The match scores were: Von Schoening, seven and one fifth miles in 3 hours and 55 minutes. Webb, six miles in 5 hours, 16 minutes. Daily four and four-fifth miles in a 4 hours and 14 minutes. Werhan, four and a four-fifth miles in 5 hours, 49 minutes.Wade, three and one---fifth miles in 3 hours, 23 minutes. In 1881, accompanied by his bride, he moved to the U.S. to bolster his diminishing fortune, but little money came in. At age 35, Captain Webb weighed 35 pounds and he wore his thinning hair closely cropped. In the summer of 1883, Captain Webb’s manager Fred Kyle secured a booking for him at Nantasket Beach, Massachusetts, to give daily swimming exhibitions. Then Captain Webb had an idea for a stunt that would restore his lost fame and perhaps his empty coffers. He would swim through the dangerous Whirlpool Rapids below Niagara Falls. He unsuccessfully tried to interest someone to fund his swim, but he went ahead with it anyway. On July 24, 1883, he jumped into the Niagara River from a small boat located near the Niagara Falls Suspension Bridge and began his swim. The newspaper stories about the event indicate that he probably survived the first part of his swim, but he died in the section of the river near the entrance to the whirlpool. Eventually, his body was recovered and an inquest showed that he didn’t die from the rocks in the channel below the Suspension Bridge or drowning, but he died from the sheer force of the water on his body. The authorities in Niagara Falls said that the water struck his body with the force of a steam trip hammer. He was buried in Oakwood Cemetery at Niagara Falls, New York. The Brooklyn Eagle of May 20, 1884 reported that the widow of Captain Matthew Webb was at the Suspension Bridge. She had accepted the position of cashier at the Whirlpool Rapids Park. In 1909, Webb's elder brother Thomas unveiled a memorial in Dawley with the inscription: "Nothing great is easy."